Recently, when skimming through Tim Ferris’ podcasts, I stopped at Episode #187. His guest was Jocko Willink, ex-Navy SEAL (read more on Jocko here), and since this was Jocko’s second appearance, he spent the episode answering listeners questions in a Q&A format. To always look for books that will teach him about human nature. I was fascinated by this response, because unknowingly, it’s nearly identical to my formula for choosing books. I guess I had never sat down and really studied why I choose the books I do, but I am always looking for books that will teach me something.Thus, I tend to read non-fiction. If you chose the right books, you will find a ton of actionable information that you can apply to your own life. Take biographies, for instance. With them, you’re able to get into the minds of the most accomplished people the world has seen! What better ways could you be spending you time than that? I call BS of most “life hacks” out there. To me, they are mostly a myth, perpetrated by the lazy and uninspired to try to reap rewards without hard, consistent work. However, one life hack does exist and is used by seemingly all of the world’s most successful individuals. Can you guess what it is? Reading! The use of books to learn, grow, and adapt is timeless. Diligent reading on the right topics can yield a treasure trove of useful information. You can find the masters on whatever topic you desire and read about their struggles and successes. Why is this important? Because your goal should be to avoid pitfalls and limit setbacks. You should be effective in your decision-making, and two things help with that – life experiences and reading about other people’s life experiences. Human nature hasn’t changed much over the years. Thousands of years ago, our ancestors weren’t much different than us. Society has advanced, but our intentions, actions and feelings remain strikingly similar to those who came before us. The same moral conundrums, dilemmas, fears and questions link all of humanity. Remember, there is no expiration date for good information. It can come from any time period and still hold relevance today. On top of that, information has never been more widely available then it is today, which is both a gift and a curse. It’s a gift because this information is affordable, often free or dirt cheap. Some of the best books ever written can be purchased used on Amazon for less than $5-7, including shipping. Digital books can be had during flash sales for as little as $2-3. Lack of money can no longer be used as an excuse to stay ignorant. It’s a curse because there is a lot of garbage information out there, especially on the internet. It’s easy to become consumed reading junk blogs and news sites that add little value to your life. Countless people belong to this “lost generation,” spending hours upon hours commenting on message boards and comment sections on the internet. Imagine if this time was better spent? Imagine if these people used that time to read books instead of arguing with people on YouTube or in the comments section of a news article? Priorities have never been more misplaced than they are today. Everything has become reactive, as people sleepwalk through life. Ease of living has improved so much that many people lack the want to better themselves.Why word hard if life is already good enough? There is no incentive for the uninspired to change. However, if you are someone who loves to learn and grow, I applaud you. If you enjoy reading, or any sort of self-betterment, then let me recommend a few books to help you along with your journey. Here are a five books that connect back to the main point of this article – reading about (and learning from) human nature. Four of the five are biographies, as I believe a full character sketch allows us to truly understand how and why someone does what they do. This book is a biography of Franklin D. Roosevelt, and was a brilliant read. At 768 pages, it’s not a short read, but you won’t be able to put it down. Because of it’s depth, you learn not only about FDR, but those brilliant men and women he surrounded himself with, including his wife Eleanor. FDR presided over two of the most influential periods in American history – the Great Depression and World War II. This book won the the Pulitzer Prize. The focus of this book is the American Revolution. Ferling focuses on the key players, and you get a heavy exposure to George Washington and his grit on the brink of destruction during the early years of the war. Washington wasn’t perfect and made many mistakes during the war, but always worked to improve and better his situation and that of his men. You often learn the most about someone when they are facing a crisis – will they wilt away or rise up to face the challenge? Washington does the latter. This was quick read that touched upon many areas, such as religion, war, economics, and human nature, among other topics throughout the course of history. I found myself highlighting or underlining an abundance of passages. This book is very easy to read and I’m pretty sure I’ll find myself referring to it again and again in the future. Goodwin kills it again with this biography of Abraham Lincoln, choosing to differentiate herself by examining the men Lincoln chose for his Presidential cabinet. Perhaps the most written about man in the world; Lincoln is a tough task, but Goodwin knocks it out of the park by choosing a unique angle to dive deep. At a staggering 944 pages, this book is no joke, but you are left feeling like you knew Lincoln personally, as well as those men closest to him. Chernow tackles a man larger than life – John D. Rockefeller. The richest man in the world for several decades, this book gives you a breakdown of a man who lived 97 years and accomplished an astonishing amount, including monopolizing the oil industry and becoming a pioneer for philanthropy. Rockefeller was a cunning figure, sometimes cruel, but was a brilliant business person. He is someone to study, especially his resolve times of crisis and scandal. 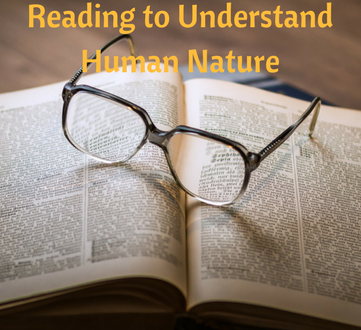 These five books are just a few of countless books that dive into human nature. Naturally, biographies will be the best source of information here. As with any good biography, you finish the book feeling like you know the person being examined. You learn their secrets, their thoughts, and their beliefs. You can relate to their stories with those of your own, and even apply your situations to those they faced. We should always be learning from the books we read, and understanding human nature is crucial to your future successes. Learn from those who have done it, so you don’t have to deal with unnecessary frustrations and disappointments.